When it comes to environmental allergies, various symptoms whether those are simply annoying or more severe can occur abruptly. Here in Florida, seasonal allergies seem to be year-round for many people with molds, mildews, dust and pollen thriving in our warm environment. 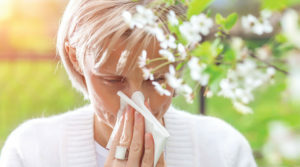 Although certain months of the year are worse than others, seasonal and environmental allergies are a common disorder from the young to the elderly population. 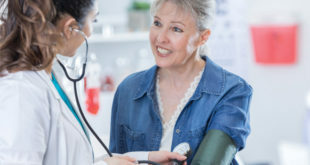 Sometimes it’s challenging to differentiate allergy symptoms from a cold; the good news is that a physician can easily decipher your diagnosis, properly treat your symptoms, and get you feeling better quickly. threatening disorders to take place. In these cases, getting temporary relief is usually as easy as reaching for an antihistamine, but the real issue is always underlying. Finding the right treatment for the exact cause of your allergies is critical. To control allergic asthma, a doctor can temporarily treat the disorder until an allergist or pulmonologist can determine what’s causing the attack and how to treat it long-term. In the case of ongoing or severe environmental allergies, getting tested for various allergens is the first step. From there, your doctor can prescribe allergy shots with specific antigens (to what you’re allergic to) that will help alleviate your attacks. Over-the-counter medications are available like Benadryl, Zyrtec, and Claritin. As for nasal sprays, some of the over-the-counter options are saline nasal cavity washes, Nasacort and Flonase. Prescription options are available too; these are the latest, most well-studied pharmaceutical grade products to control or alleviate your symptoms. If you are experiencing allergic symptoms, it’s important to see a specialist. To schedule an appointment with a pulmonary specialist, please call Pulmonary, Critical Care and Sleep Medicine Specialists of SWFL today at (239) 985-1925 or ask your primary care physician to refer you to their office.